St. James's Palace is the most senior royal palace in the whole of the UK - and also, home to many members of the royal family. The central London palace, located in the city of Westminster, was built by the Tudors in 1531 – making it even older than the Queen’s official capital residence, Buckingham Palace. And although it’s considered to be one of the most important palaces now, it only became regularly used by the monarchy in 1837, after Queen Victoria began to live there. It’s certainly an impressive building too – spanning many square feet, most of it is spread over four storeys. Not bad for the London property market! Who lives at St. James’s Palace? The palace is the permanent home, and the London residence, of many senior members of the royal family. 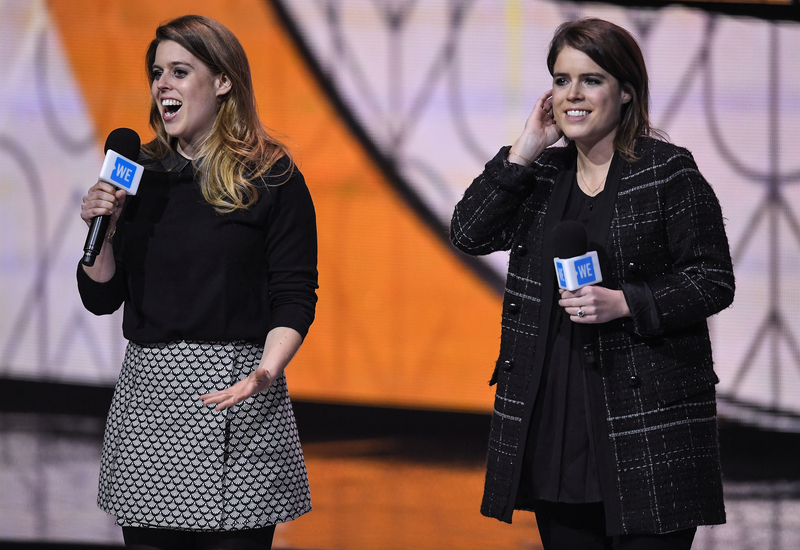 Princess Eugenie and Princess Beatrice are some of the building’s most recent residents. Up until autumn 2017, the sisters shared an apartment in the palace. But don’t be deceived by the use of the word ‘apartment’ – their former home certainly wasn’t the size of an ordinary flat. Most flats in St. James’s Palace span four floors, and have multiple bedrooms – in fact, it’s thought that Beatrice and Eugenie’s had four. Beatrice and Eugenie shared their home for some years, but earlier this year, Princess Eugenie moved out in order to move in to Kensington Palace with her soon-to-be husband, Jack Brooksbank. The pair now live in Ivy Cottage – just minutes from Eugenie’s cousins Prince William and Prince Harry, who also live within the grounds. 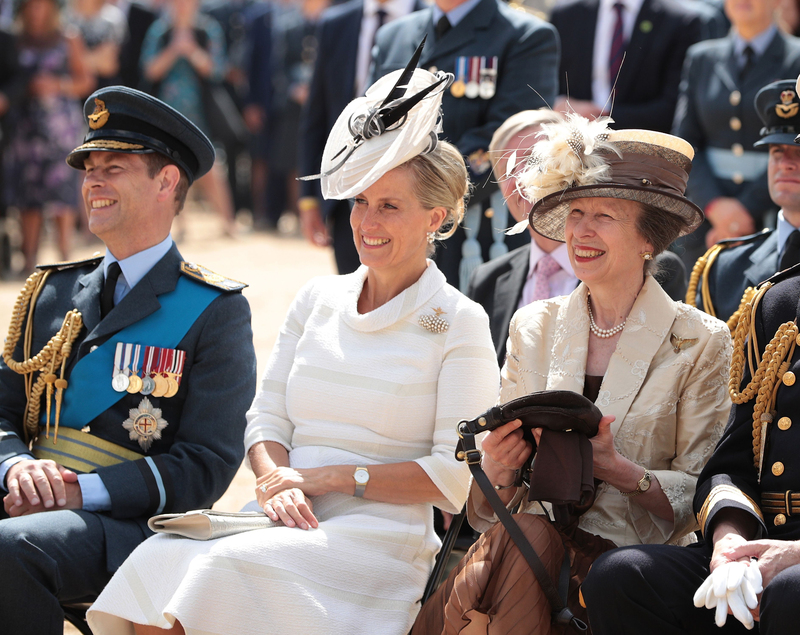 One senior royal who does still live at the palace is Princess Anne, the Queen’s daughter. The Princess Royal uses the palace as her official London residence, when she is in around the city for engagments. And she’s certainly making use of it – the Princess consistently racks up the most royal duties of all, completing a whopping 540 engagements in 2017 alone. Prince Charles, in comparison, completed 374. But recently, the palace has seen an influx of royal family members moving in to the palace, due to the extensive refurbishment currently taking place on some private living quarters at Buckingham Palace. Sophie, Countess of Wessex, and her husband Prince Edward, have had to move themselves to St. James’s Palace while the refurbishments are done on their official London home, just a few moments away. In the past, St James’s Palace has also been home to Princes William and Harry, who lived with their father Charles in York House – which is contained within the palace walls. Now, however, the palace is a working palace, and is largely used for important official visits, including State Visits, charity receptions, and other formal and ceremonial ocassions. But it’s also home to the Chapel Royal, where numerous royal christenings have taken place over the years. Most recently of course, Prince Louis, the Duke and Duchess of Cambridge’s youngest son, was christened there. The Chapel Royal, located in the main block of the palace, has also played host to the christening of Prince George, and the recent baptism of Meghan Markle, just weeks before she married Prince Harry in May. The inside of St. James’s Palace – at least, the parts the public will have seen, are decorated in every bit as lavish a style as you would expect. The State Rooms, often used for official royal events or charity evenings, and the staircases around the building, have carpets done out in a deep red, royal design – while the furnishings are largely gilted gold. An array of impressive paintings and art also hang from almost all walls in the roomy palace – some, the royal family’s own. Can you visit St. James’s Palace? Sadly, visits to St. James’s Palace are not open to the public. However, if you fancy catching a glimpse of the royal abode, you can easily walk past the palace on the streets of London and see it from the outside. Plus, if you do want to pay a visit to a royal residence, Clarence House and Buckingham Palace – just metres from St. James’s Palace, regularly open to the public for short periods of time.